If you are planning to send a domestic parcel, you need to make sure that it is safely delivered to the specified mailing address. Most people use their local post offices to send domestic shipments but if your goods are temperature sensitive or require special care, you can choose to hire professional freight services for shipping your domestic parcels from one location to the next. 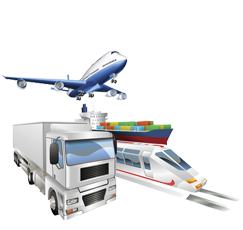 Whether you are relocating and in need of a company that can help you in shifting your belongings to your new home; or are requiring a professional cargo shipment company to transport your commercial cargo within the country; an experienced and efficient cargo shipping company can help you in safely delivering your shipment according to your requirements. Empty boxes or cartons that are in accordance with the size and weight of the items that you want to deliver. A strong and durable tape to seal the box after packing. Bubble wrap or old newspapers to stuff into your box to protect delicate items and to fill empty gaps in the packed parcel to prevent your goods from moving within the package during its shipment. A marker or a pen to write the mailing address on top of your parcel. Although you should always aim to maximize and optimize your packing space within the box, the amount of items that you can fit within it, depends on its thickness and weight load. A lighter box cannot hold heavier loads and boxes made for heavy items should be used for their particular purpose as well. Heavier and thicker boxes can also be used to pack a large number of light objects within them. If you are transporting your household items to your new home, you need to make sure that all of your breakable and fragile pieces are packed carefully. Protect objects that might be damaged easily by wrapping them in cloth or plastic wrap. For your crockery or chinaware, always place your plates vertically into the box and layer the box with bubble wrap prior to filling it with your belongings. In order to avoid spilling oil, water, or cosmetics within your packed boxes, tightly secure their caps and tape them if required. This will prevent accidental spilling and protect the rest of your packed goods from being spoiled. You want your domestic shipment to be sent to the right address. Therefore, you need to be careful when labeling your package with the mailing address. Write the address correctly and in a clear handwriting so that it can easily be read without confusions. Once you have packed your parcel, hire a freight service for domestic shipment of your belongings. If you are unable to efficiently pack your items or simply want to avoid the hassle, these companies can also provide you with packaging service to make your shipment even more convenient!